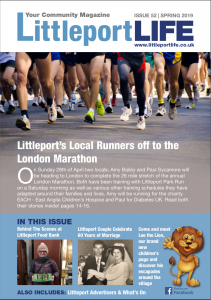 Bob Garwood Talks to Littleport Life about Littleport Cricket! The 7th of April 2018 saw the dismantling of Littleport Town Cricket Club’s score hut and the end of local cricket as we know it in this village. There were some very touching comments on our social media pages like Littleport Notice Board and Littleport Community Group which prompted Littleport Life to track down one unassuming local gentleman who was quite a force to reckon with in his heyday as a cricketer. Bob Garwood better known as Mr Chairman of Littleport’s Ex-Servicemen’s Club, and one-time local reliable postie who we well remember delivering our post, a milkman and a farm worker, took time out to reminisce about the good times and the fun he had with his cricketing team-mates. He visited us (me and the magazine editor) and brought round with him a rather faded dog-eared Ely Standard newspaper cutting showing a very young-looking Bob with his team mates, including Terry Thornhill, having just won a cup final. 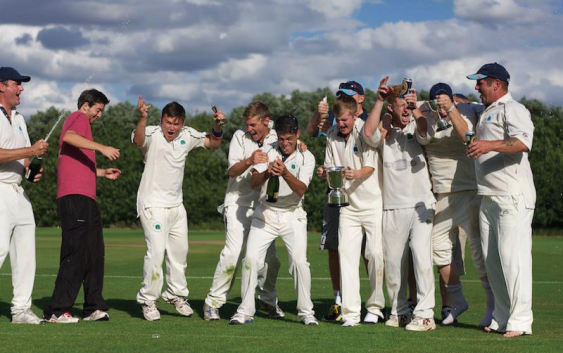 Littleport Town Cricket Club were regularly featured in the local newspapers including their results which always helped their profile. “When I left school I first started playing cricket for Little Ouse where I used to live. The farmer I worked for, a Mr Flanders Morton at Church Farm, was the Little Ouse Chairman of the cricket club. He was always a very serious player, and after a game he used to demonstrate to me how the ball should have been played while I was working and cutting the sugar beet with a hoe. “We always worked hard on the farm but when it came to cricket the foreman told us to tell our governor if we had a cricket match on that night, so we could go at 5 o’clock, have a bit of tea, and get ready for the game instead of working up to 7.30 pm or 8 pm – that’s how it was in those days,” revealed Bob. Bob then moved into the village of Littleport and when he turned up for a cricket practice session he got straight into the team. “As captain, I used to open the batting for the 2nd XI, and I did score 100 once, but I played with the likes of Brian Brookes. Years ago it was Fred Watson who used to run the club. “I recall during my Little Ouse playing days, Norman South used to ring me up on a Saturday saying they were short of players so we always obliged. “And it was the same again with our Littleport’s 2nd team. We used to train in the nets on a Friday night and it was in those days when Norman was in charge of the first team for many years. I would pick my side by Tuesday or Wednesday and I’d would go and see him and tell him I had a full team so Norman would say ‘I could do with so and so’ and that’s the way it was. The main person Norman would borrow for the 1st team was always Paul Frost and that’s how it was in those days. “Now Freddie Stone, played until he was 65 to 70, and now he plays bowls for Littleport. “I remember we also fielded a couple of policemen, one was named Mike Dyke who lived in Ely Road. They were based in Cambridge, but lived in Littleport. They were crazy but truly lovely genuine guys. They would work all night until 6 ‘clock Saturday morning, then play cricket at 2.30 pm, and then be back on their shift at 10 pm. Bob packed up cricket before the club moved to the Leisure Centre, and when they played at Highfields according to Bob “if you wanted to go for a drink, there wasn’t the handy bar on site like the Leisure Centre, so you went to The Plough & Harrow or the Black Horse pub. “We used to also have wonderful end of season dinner and dance evenings which brought us all together. We didn’t have trips abroad, but we used to go on a tour every year to Kent, Margate and Dover. “There was always healthy rivalry with Downham Market but invariably they always had the upper hand. Nowadays Bob is only too happy to do his bit at the Ex-Servicemen’s Club, where every year he runs a charity event near his birthday in November for Addenbrooke’s Breast Cancer Unit and Parkinson’s Disease from which sadly Bob is a sufferer. But in true sportsman fashion he is stoic in his attitude to his illness and says it is under control with the help of tablets and medical advice. And Bob still sees his cricketing pals at the Club including Freddie Stone, Ian Pendle and Eric Kemp (a Manchester City fan) enjoying a pint or two and remembering the good times, while our current cricketing team players are still coming to terms with the demise of Littleport Town Cricket Club which was formed in 1888.